Join forces with Gary the gorilla and have an amazing time on Gorilla Go Wild Scratch Card! Match three similar symbols and win big instant prizes! 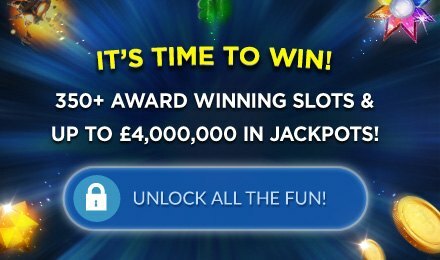 Grab amazing prizes on the Gorilla Go Wild Scratch Card! Join Gary in the wild jungles for a chance to pocket the most enticing wins with not much effort. Swing on the vines in Gorilla Go Wild slot and enjoy the instant wins you’re yet to win. The background of the game is the purple gorilla with his golden crown and the 3x3 grid is placed right over him. On the grid, all you have to do is match up three symbols to win prizes of up to £1,000 your stake value. With an RTP of 95.42%, match Gary, cold coins, toucans, bananas, crowns or monkeys to a splendid win!